Hepatitis is a general term used to describe inflammation of the liver. This means there are too many inflammatory substances being produced in the liver, which damage the liver cells. Liver cells are called hepatocytes – thus the term hepatitis. Inflammation damages the liver and if left untreated can lead to cirrhosis (scarring of the liver). 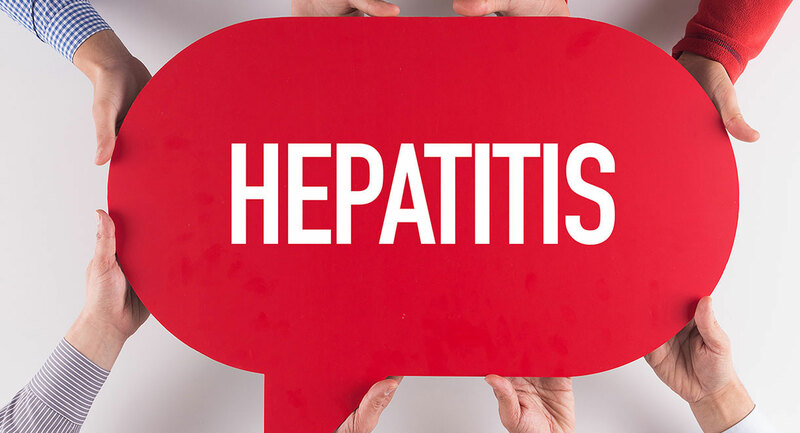 Hepatitis can be diagnosed by doing a blood test, if your liver enzymes are elevated this indicates some degree of liver inflammation (hepatitis). Eat salad every day – Use fresh raw vegetables such as tomatoes, shallots, sliced red onion, cucumbers, broccoli, lettuce, fresh green herbs (such as parsley, mint, cilantro, basil, thyme, oregano, dill, chives, etc), celery, kale, avocado, grated carrots, grated beets, etc. Make your own salad dressing using cold pressed olive oil or flaxseed oil, apple cider vinegar and/or lemon and lime juice. Ideally you should have a salad at least once a day. Try to incorporate foods that are high in the mineral sulphur as they are very liver cleansing. This includes onions, chives, garlic, leeks and cruciferous vegetables (broccoli, Brussels sprouts, cauliflower and cabbage). Eat more healthy fats – These can be found in foods such as cold pressed oils (e.g. olive, coconut), avocados, oily fish such as salmon, tuna, sardines, mackerel, etc, raw fresh nuts, raw seeds (e.g. flaxseeds, chia seeds, sunflower seeds, sesame seeds, hemp seeds, pumpkin seeds), and legumes (beans, peas and lentils). Healthy fats are essential for repairing the membranes surrounding the liver cells. Do some raw juicing – Try to drink raw juices as they are packed with living enzymes to assist the digestive process. Include some fresh raw herbs in the juice such as mint, parsley, coriander, basil, thyme and oregano, as these herbs have powerful anti-viral effects and liver healing effects. You will need a juice extracting machine, which is a worthwhile investment. One time saving trick is to make a large batch over the weekend and immediately freeze in glass jars to retain the nutrients. Then you can simply pull a juice out when you need it, and you can make enough for two weeks. We recommend using different combinations of vegetables and fruit juices in a ratio of 80% vegetables to 20% fruit. For excellent liver-friendly recipes see Dr Cabot’s book ‘Raw Juices Can Save Your Life’. Manage stress levels – It should come as no surprise that stress can have a detrimental effect on our immune system. This is primarily due to large amounts of the hormone cortisol impairing the ability of white blood cells to fight infections. Many individuals manage stress through meditation, yoga, setting aside time each day to unwind, reading a good book or spending time with a loved one. You may want to try taking a magnesium supplement which can help to improve the physiological response to stress and promote relaxation. Get enough Zzz’s – You should never underestimate the importance of sleep. Sleep is a critical restorative process for our mind, body and even spirit, and is important for our immunity. Although it can be difficult to get the recommended 7 to 8 hours of sleep every night when you are busy with work and family commitments, you should try to make sleep a priority. For more tips on getting a good night’s sleep we recommend you check out Dr Cabot’s book ‘Tired Of Not Sleeping’. Magnesium and the natural sleep hormone called Melatonin may be beneficial for better sleep. Get moving – Regular exercise is essential for many reasons such as maintaining a healthy immune system and a healthy weight. If you do exercise in the sunshine you will manufacture immune strengthening vitamin D. If you don’t have adequate vitamin D levels, you will be more susceptible to inflammation in the liver. Drink more H2O – Aim to drink 8 to 10 glasses of water or herbal teas or weak black tea daily. Adequate hydration is essential for avoiding constipation and supporting the organs of elimination such as the liver, skin and kidneys. This will help the liver to carry out phase 1 and phase 2 detoxification so these toxins can be released through our sweat, urine and bowels. Take a good liver tonic – Essential ingredients for a powerful liver formula include St Mary’s Thistle, NAC, B vitamins, taurine, selenium, vitamin C and vitamin E. These are all found combined together in Livatone Plus. St Mary’s Thistle protects liver cells and supports liver detoxification. Selenium aids liver detoxification, reduces inflammation and fights viruses effectively. If you suffer from fatty liver and/or liver inflammation we recommend you read Dr Cabot’s book ‘Fatty Liver: You Can Reverse It’ or ‘The Liver Cleansing Diet’.